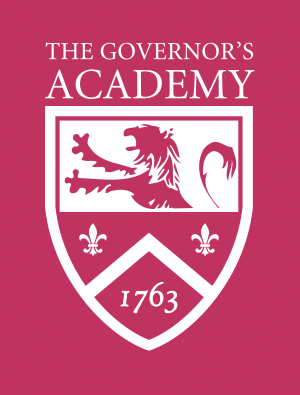 For general inquires regarding our summer programs, please contact the Summer Programs Office at 978.499.3132 or summerprograms@govsacademy.org. Note: To register or for more information about camps or clinics please use the contact information that is specific to each camp/clinic and is listed below. The Academy offers state-of-the-art facilities to accommodate all needs. They include a 48,000 square foot field house, a 500-seat performing arts center, 10 dormitories, a 200-seat dining room, walking paths through lush grounds, and a variety of meeting spaces. Only minutes from Newburyport, Plum Island and the Atlantic Ocean, The Governor’s Academy campus provides a beautiful and convenient site with all the amenities necessary for a successful event. At URJ 6 Points Sci-Tech Academy, scientific inquiry meets fun! Girls and boys entering grades 5-9 develop hypotheses, perform experiments and test out new technologies in a supportive, vibrant Jewish community. Our campers ask big questions, and discover real answers. Please join Gwynneth Coogan and Governor's mathematics teacher Mark Gerry for a four-day introduction to a problem-centered approach for learning Algebra and Geometry. Collaborating with fellow middle school Algebra teachers, you will be immersed in a curriculum that will enrich your students' experience with mathematics. For details and cost, please click here. 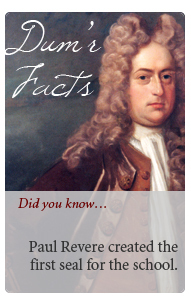 GovsPLUS (Powerful Learners Unlocking Success) is a tuition-free academic enrichment program that partners The Governor’s Academy with motivated middle school students from Lawrence, MA with the goal of helping all students reach their potential in and outside of the classroom. Each year, approximately 40 rising 8th and 9th grade students in GovsPLUS work to strengthen their academic skills, build their self-confidence, and participate in formative service and experiential learning opportunities. The largest and most successful basketball camp in New England, Behn Basketball has grown throughout Eastern Massachusetts for the past 18 years with a reputation of excellent teaching focused on fundamentals. Our experienced coaches create an intense yet comfortable atmosphere that encourages learning and development. The goal is for each player to leave camp with improved skills, increased confidence, and acquired knowledge on how to practice and succeed. And of course we have fun too! Once again, Aztec Soccer is pleased to head back to Governor's Academy for our youth and high school soccer training summer programming. This is a great opportunity for boys and girls in a range of ages and abilities to experience first-class training in a first-class environment. The high school program is a great opportunity for high school teams to join together ahead of their preseason to get a head start on the competition. High-school aged players that don't come with their team will be grouped together as a team for the duration of the program.